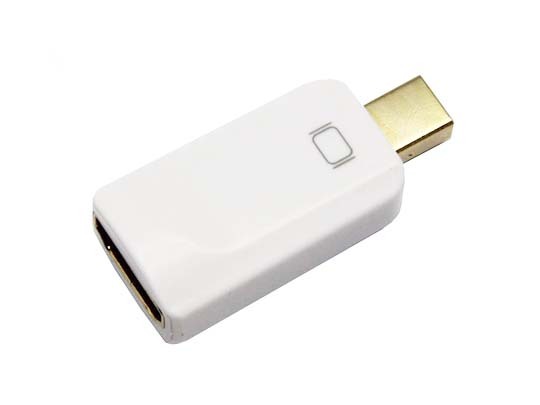 The Mini DisplayPort to HDMI signal adapter seamlessly connect next generation DisplayPort based MacBook, MacBook Pro, or MacBook Air with a Mini DisplayPort to high definition displays. 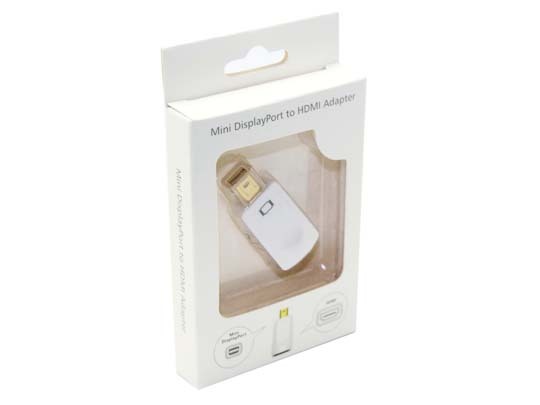 Mini DisplayPort offers a unified, scalable, and cost effective interface for embedded and external display applications. It not only has an elegant appearance with the white color but also brings much convenience with its small size. 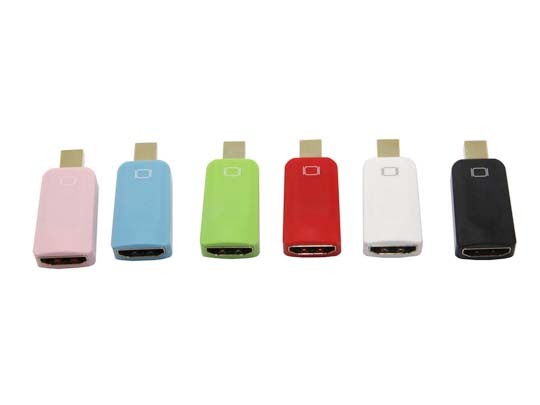 1、Support Mini DisplayPort 1.1a input and HDMI output. 2、Support HDMI highest video resolution 1080p. 3、Support HDMI 225MHz/2.25Gbps per channel (6.75Gbps all channel) bandwidth. 4、Support HDMI 12bit per channel (36bit all channel) deep color. 5、Supports uncompressed audio such as LPCM. 7、More than six color for option.